Second-growth, mixed forest with bodies of water; forest openings; lakes; swamps and other wetlands; burned over or cut areas with successional growth. Boggy, low areas in northwestern Minnesota. Hilly, forested areas in northeastern Minnesota. In the summer, new growth leaves, twigs, and bark of trees and shrubs; and aquatic plants, especially those high in sodium. In the winter, twigs of trees and shrubs. 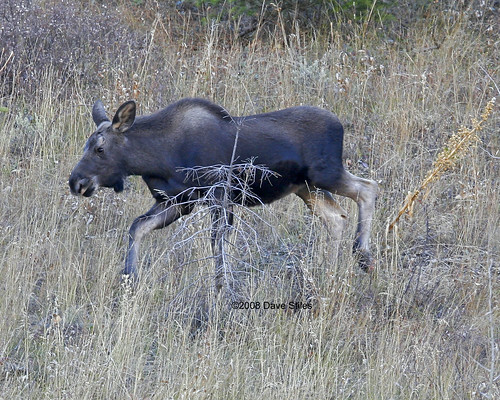 Moose occasionally stray south out of their usual range but do not set up resident populations there. Hazard15 shows town records in Polk, Beltrami, Hubbard, Pine, Hennepin, Dakota, and Le Sueur Counties. Those records are not included in the map at left. There is some disagreement about the taxonomic classification of North American moose. Until recently, only one species, Alces alces, was recognized. 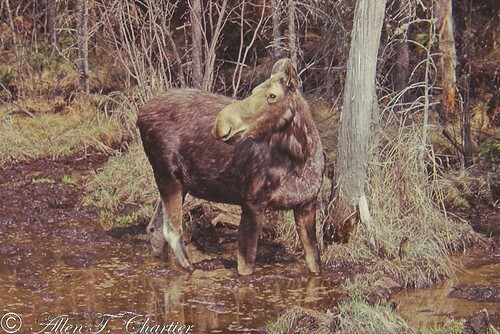 Studies in 1998 and 1999 separated two species, Eurasian elk (Alces alces) and moose (Alces americanus), based on chromosomal differences (karyotype) and morphology. Older print sources and many online sources continue to recognize just one species, Alces alces. In either classification, there are four subspecies in North America and one in Minnesota. Most moose in the Minnesota are in the northeastern counties. There are far fewer moose in the northwest. 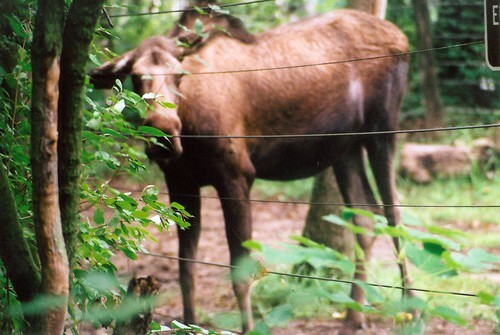 An areal survey of moose is conducted each year in northeastern Minnesota by the Minnesota DNR. Based on the 2016 survey, there are an estimated 4,020 moose in the state. That is a decline of almost 55% in ten years. October moose in Superior National Forest, NE Minnesota. Minnesota DNR Wildlife Health Program Supervisor Michelle Carstensen talks about the 2014 Moose Mortality Project. A study to determine why Minnesota's moose population is in decline, has started. 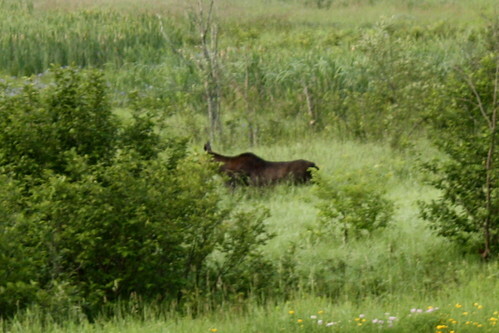 See video from the field as the first moose are captured. 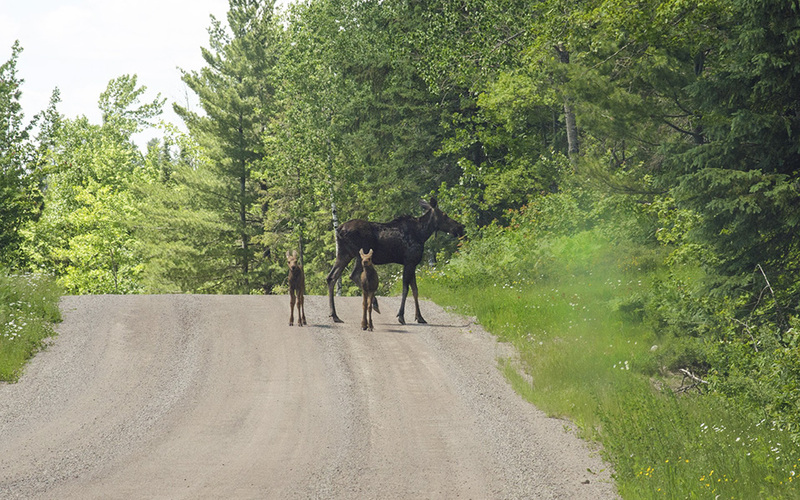 For more information on Minnesota's moose, go to http://www.mndnr.gov/moose. See what happens when I imitated the call of a cow Moose!